Stress is a normal part of life and, to some extent, stress is good for you. The body reacts to stress with physical, mental and emotional responses. It can keep you energized and motivated as well as improve your performance. Stress is the secret mantra for survival, but too much stress can be detrimental. In fact, there is a very thin line between the positive and negative impact of stress in your life. Excessive and chronic stress can take a toll on your physical as well as emotional health. It’s not just the amount of stress that you experience but also how you react to it that can lead to a wide variety of health problems. 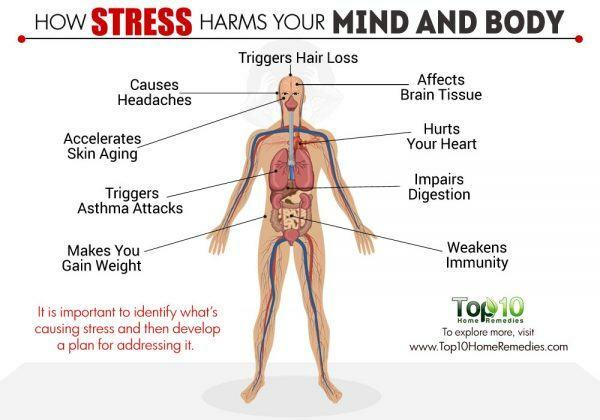 Here are the top 10 ways that stress harms your mind and body. Stress can cause everything from a minor headache to a migraine. This mainly happens due to the “fight or flight” chemicals like adrenaline (epinephrine) and cortisol that your body releases during stress. Plus, it makes your muscles tense up, leading to more pain. Stress is mostly related to tension headaches, the most common type of headache that causes persistent pain on both sides of the head. Tension headaches are often accompanied by a heavy feeling in the head and behind the eyes and a tightening sensation in the neck muscles. In a study published in Cephalalgia in 2015, researchers reported an association between stress and headaches. In this study of 5,159 participants (ages 21 to 71 years) over two years, tension-type headaches (TTH) were reported in 31 percent of participants, migraines in 14 percent and migraine with coexisting TTH in 10.6 percent. You can’t avoid daily stress and you must not allow stress to go to your head. But, you can definitely keep stress under control to help prevent headaches. Stress can affect your sleep quality and lead to disturbed sleep. Sleep is important for your health and lack of it can hugely affect both your physical and mental health. Over time, it can lead to chronic health problems and negatively impact your quality of life. Stress is known to cause hyperarousal, which upsets the balance between sleep and wakefulness. This causes sleep problems. A 2004 study published in Health Psychology reports that people with a high emotional focused coping style tend to react to stressful situations with elevated anxiety, which in turn increases the arousal level that is associated with compromised sleep. 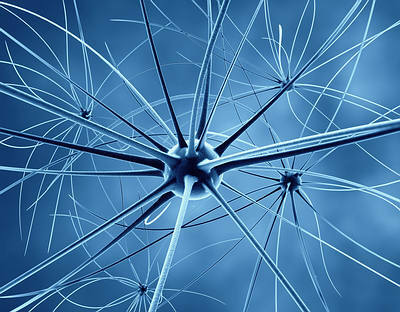 Another study published in Experimental Neurobiology in 2012 reports that excessive stress activates the sympatho-adreno-medullary and hypothalamic-pituitary-adrenal systems, which affects sleep quality. When experiencing acute stress, reading a book, listening to soft music or practicing deep breathing before going to bed can help you relax and sleep better. However, if chronic stress is keeping you awake night after night, it is important to discuss the problem with your doctor. If you are overweight or obese, stress can be a reason behind it. When you are under stress, the body releases cortisol, a hormone that makes you crave sugar and high-fat foods. Plus, constant stress or worry causes adrenal fatigue, which in turn causes your body to store more fat by stores and the size of the fat cells. This leads to weight gain. A 2007 study published in Nutrition suggests that chronic stress may be causally linked to weight gain, with a greater effect seen in men. Stress-induced eating may be one factor contributing to the development of obesity. Another study published in the Current Opinion in Endocrinology, Diabetes and Obesity in 2009 reports that chronic stress, combined with positive energy balance, may contribute to an increased risk for obesity, especially upper-body obesity, and other metabolic diseases. Another interesting study published in Preventive Medicine in 2015 shows that girls who experience family stress, specifically family disruption and financial stress, repeatedly throughout childhood are more likely to become overweight by the time they turn 18. Instead of reaching for that pint of ice cream when you’re stressed, do meditation or practice deep breathing to reduce stress. Stress can also upset your digestive system and lead to chronic inflammation in the gastrointestinal tract due to the rush of hormones, fast heart rate and rapid breathing. It can lead to indigestion, stomach pain, bloating, nausea and vomiting. A study published in the journal Gut in the year 2000 notes that stressful life events are associated with chronic digestive system disorders, including gastro-esophageal reflux disease, inflammatory bowel disease, functional gastrointestinal disorders, and peptic ulcer disease. In fact, stress and gastrointestinal problems have a complex and bidirectional relationship as stress can trigger or worsen gastrointestinal symptoms and vice versa. Stress can harm your locks and may cause hair on your scalp to shed. A 2003 study in the American Journal of Pathology says that stress can negatively affect the cycling activity of hair follicles, which in turn causes hair loss. Another study published in the American Academy of Dermatology in 2007 reports that stress may be the primary reason for unexplained hair loss in both men and women. The study even says that telogen effluvium, a very common hair loss problem, can occur up to three months after a stressful event. After the initial hair loss, hair usually grows back in six to nine months. It has also been found that people suffering from stress and anxiety often have the habit of pulling their own hair out. This can harm the hair follicles, which can cause hair loss. Hair loss is a normal response to stress and when your stress gets under control, your hair also tends to return to its healthy state. But for frequent hair loss, you must see a dermatologist for a proper evaluation to rule out other medical causes. Stress is not good for those suffering from respiratory problems, especially asthma. In fact, stress can actually trigger asthma attacks, in which the airway between the nose and the lungs constricts. It is important to know that stress will not prompt a new case of asthma, but it may worsen the disease in people who already have it. When you are under stress, you tend to breathe harder and more rapidly. This is a serious problem for people with asthma, as they may have difficulty getting enough oxygen for easy breathing. A 2007 study published in Brain, Behavior, and Immunity suggests that negative emotional responses associated with stressful life experiences may elicit cholinergic responses that contribute to bronchoconstriction and exacerbations of asthma. If you have asthma, work with your doctor to learn about relaxation and breathing strategies that can help you during sudden asthma attacks. Experiencing too much stress, for too long, is just bad for your heart. It increases the risk of heart disease, high blood pressure, chest pain or irregular heartbeats. 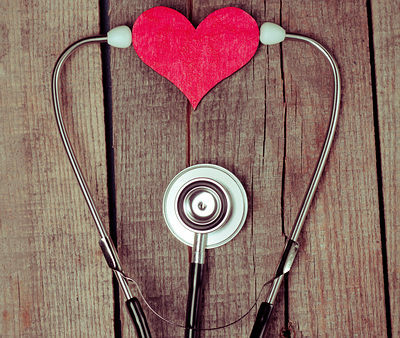 The hormones released by your body during stress damage the heart muscles. This in turn increases your heart rate and constricts your blood vessels, ultimately leading to high blood pressure. In the long run, high blood pressure increases the risk of a stroke or a heart attack. Another side effect of repeated acute stress and persistent chronic stress is that it contributes to inflammation in the circulatory system, especially in the coronary arteries. This increases the risk of a heart attack. Stress can also cause the blood glucose levels to rise in diabetes patients, which in turn affects heart health. Not just stress, but the way you handle stress also affects your heart health. Many people respond to stress by smoking, drinking excessively, overeating or not exercising. All these factors are not good for your heart health. 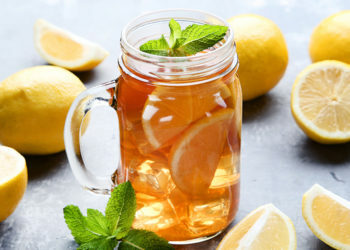 There is also a strong connection between chronic stress and poor immunity. During stress, the cortisol level increases in the body, which can alter immune system responses. It even reduces the production of ‘good’ prostaglandins that support immune function. This affects your immunity, making you more prone to colds, the flu and infections. It can even increase the risk of other health problems like heart disease, diabetes and other diseases. An increased cortisol level can even affect the digestive system, the reproductive system and growth processes. The elderly and sick people are more prone to stress-related immune problems. Moreover, stress is very tiring for the body and even demotivates you from taking care of your body. To reduce stress, practice yoga, meditation, massage, aromatherapy and laughter. These all have a positive effect on your immune system. Avoid frowning or making faces when you’re under stress, as it can lead to skin aging. In fact, the more stress you experience, the more harm it does to your skin. Stress works as a contributor to accelerated cellular as well as skin aging. This may result in premature aging sings in the form of wrinkles, crow’s feet, altered pigmentation, sagging skin and uneven skin tone. Over time, stress leads to a breakdown of the collagen, damages DNA and promotes the release of pro-inflammatory mediators (cytokines). 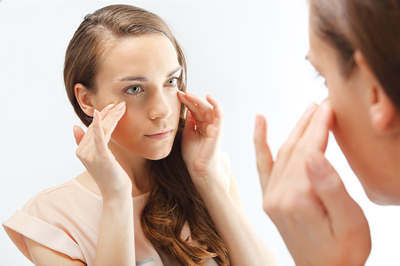 All these factors trigger premature aging signs. A 2014 study published in Inflammation Allergy and Drug Targets reports that skin mast cells are activated by stress, which in turn produces stress hormones and inflammatory factors. Mast cells have been implicated in numerous skin diseases including acne, atopic dermatitis and psoriasis. Plus, stress diminishes telomeres, the caps at the end of the strands of DNA that help protect the chromosomes. When cells divide, they lose a bit of this compound structure. The telomerase enzyme can help replenish this protective casing but chronic stress and the resultant cortisol surge reduces the supply of this enzyme. 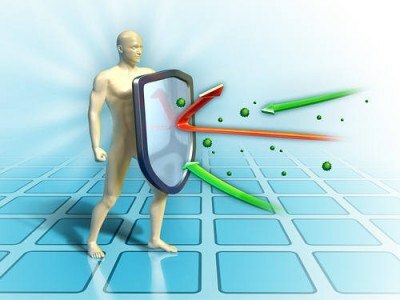 This leads to the dying of cells or their becoming pro-inflammatory, thus setting the aging process in motion. A 2016 study published in Brain, Behavior, and Immunity has found a very small pooled correlation between increased stress and short telomeres, a biomarker of aging. To keep your skin beautiful and youthful, take steps to keep your stress level under control. Stress can make you lose your cool and make a situation even worse. In fact, any kind of stress may impair the ability to use cognitive techniques known to control fear and anxiety. A 2013 study published in Proceedings of the National Academy of Sciences of the United States of America suggests that stress can the regions of the brain that regulate emotions and self-control. It can even cause problems related to concentration and learning ability. Apart from this, chronic stress is bad for your long-term brain health. Occupational stress, in particular, can be associated with regional reductions in brain tissue volumes, according to a 2013 study published in the PLOS ONE journal. A study published in Alzheimer Disease and Associated Disorders in 2012 suggests that stress is an important factor for estimating level of risk for cognitive decline in older adults. Moreover, a study published in Neurology in 2014 suggests that middle-aged women dealing with long-term stress and an introverted personality are at a higher risk for developing dementia or Alzheimer’s. To keep your cool and protect your brain from any kind of damage, start taking stress seriously and take necessary steps to keep it under control. It is important to identify what’s causing your stress and develop a plan for addressing it. Practicing deep breathing on a daily basis is one of the best ways to manage stress. Deep breathing can reduce both physical and emotional stress. Make exercise a part of your daily routine to manage stress as well as its side effects. Get 7 to 8 hours of sound sleep daily. Sleep is necessary for your overall health, and it helps you to cope with day-to-day stressful situations. No matter how busy you are, take time out for your family and friends. Balancing work and a quality social life is important for reducing stress. Take a break from your daily routine and go on a vacation from time to time. This will help rejuvenate and energize your mind and body. Make time for meditation. Even 10 minutes of meditation daily is highly beneficial for your health. If you continue to feel stressed and can’t control it, discuss the problem with your doctor. Is there any book / cd available with all the remedies?